The summer is still hot enough in Texas, but fall is just around the corner. There’s no better time to think about the fortitude of your HVAC system – particularly heating – than fall, before winter comes to Fort Worth. Scheduling heating inspections, maintenance, and repairs this time of year is a smart strategy for strong and efficient heat all winter long. Hawk Plumbing can take care of all your HVAC needs, including furnace and heating repairs. One of the best things you can do as the owner of an HVAC system is to schedule routine maintenance and inspections with professional technicians. Hiring professionals to come look at your system at regular intervals can prevent unwelcome heating and air surprises – such as your furnace breaking down on the coldest night in Fort Worth. Maintenance can help prevent serious and expensive problems down the road. Maintenance is the best way to get more out of your HVAC system, maximize the lifespan of your equipment, and get better long-term performance. What Does a Heating Inspection Include? A heating inspection with the right plumbing company should provide a comprehensive review of your HVAC system, heaters, furnace, and all other heating components in your home. The team you choose should have the equipment and knowledge to inspect your heating system from top to bottom, giving you details about any area that may need repairs, cleaning, or part replacement. Hawk Plumbing’s experienced certified technicians can help households gain a better understanding of the performance and status of their heating systems. Temperatures might still be high in Fort Worth, but don’t let that fool you. Start planning for fall and winter now in terms of your home’s heating systems. That way, you’ll be primed and ready when temperatures do start to drop. Preventive maintenance, professional tips, high-quality repairs, and replacements of old, outdated parts can optimize the performance of your HVAC system and furnace all winter long. 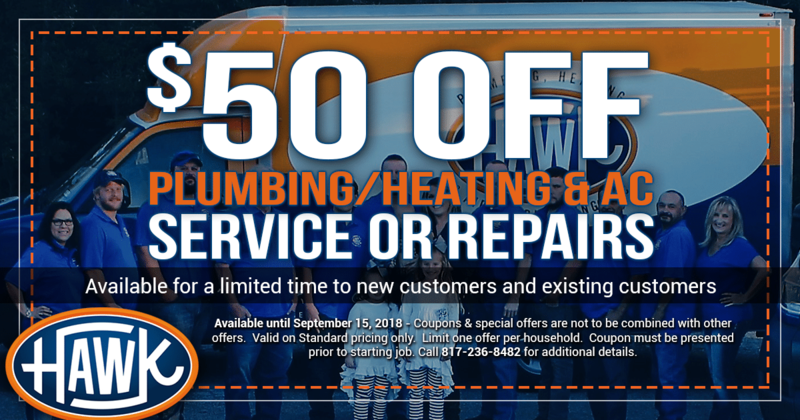 Hawk Plumbing understands fall and winter heating maintenance. Our Fort Worth plumbers are ready and waiting to take your call and answer your most pressing HVAC questions. Our reliable services can keep your home warm and comfortable this fall and winter.